The Republican Party has become the party of the American worker, President Donald Trump said in a new interview with Time magazine. “I think we have brought a lot of people in. You know. The party is a much bigger party now, and it’s like really a party for the working men and women in this country, in addition to plenty of others,” Trump told Time’s Brian Bennett. “I guess in the true sense, it has been changed, and I think that’s why I won an election nobody else would have won. If you look at the places I’ve won, nobody else would have won those places. And a lot of that is because of my views which are very strongly held,” Trump said. “I got it — the workers,” he said. Trump told a Kentucky rally on Saturday that his vision in in stark contrast to that of the Democratic Party. If Democrats take power, “all they’ll do is obstruct,” Trump said. “Under Republican leadership, America is booming, it’s thriving. 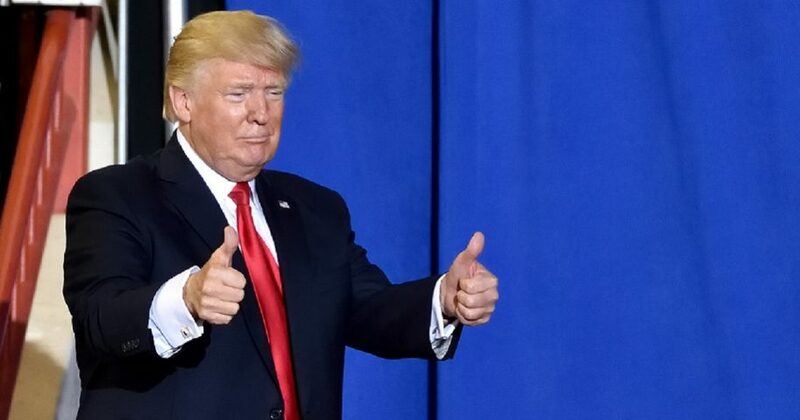 America is winning again because we are finally putting America first,” Trump said, noting that voters face a simple choice. Has President Donald Trump changed the GOP for good? In his interview with Time, Trump explained how his policies have helped workers. “They’ve been doing these horrible trade deals. You know we just renegotiated and there were tough negotiations. But NAFTA was one of the worst deals ever made. We lost thousands of factories and plants and jobs, millions of jobs, millions and millions of jobs. And it was a horrible deal,” he said. When Bennett asked the president about his trademark style of tough talk, Trump was not the least apologetic. “Well, if I don’t talk that way, I’m never going to get the point across and I’m never going to be able to make the deal. There is nothing nice about telling a country that we aren’t going to allow you to make $151 billion against the American taxpayer,” he said. “Look, our politicians have been nice for many years, for decades. And look what’s happened,” Trump said. Trump noted that one difference between him and other politicians is his style of communication. “The people understand it. And in a way it shocks me ’cause I always gave too much credit to the media. Because in theory, based on media, I shouldn’t have gotten 306 electoral college votes. I shouldn’t have got it. Because it’s really staged for the Democrats to win. But the people get it. It’s really amazing to see. It’s really a beautiful thing to see,” Trump said.